Have you ever heard of Black Talon ammunition? In the early A.D. 1990s, Winchester released its latest generation of hollow-point cartridges under this trademark. Sensationalist reporting by the news media soon followed, much to the company’s chagrin. Some stories called the new ammunition “cop-killer bullets,” erroneously claiming that it could penetrate the ballistic armor worn by police. Winchester eventually pulled the Black Talon line from the market,1 but hollow-point ammunition has remained stigmatized ever since this episode. Hollow-point ammunition is designed to expand upon impact, delivering all of its energy to the intended target. 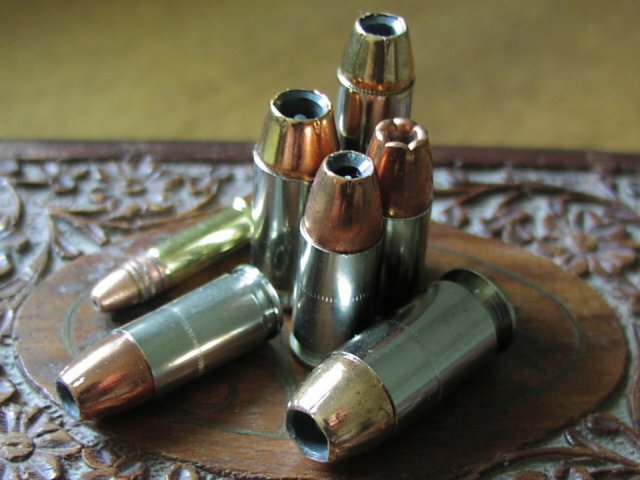 Just like it sounds, a hollow-point bullet has a hollow or cavity in its nose. This feature gives the bullet a tendency to flatten upon impact and thus expand its diameter. Compared to a traditional round-nosed bullet, a hollow-point bullet is less likely to pass through its target. A bullet that doesn’t pass through its intended target also can’t hit an unintended one behind it, so hollow-point ammunition is actually safer to use in most situations. Bullet expansion is considered a positive effect for this and other reasons. Expansion can also cause greater damage to living tissue, leading to quicker incapacitation of a human or animal target. This is very valuable in a defensive shooting, where the goal is to stop an assailant’s attack as quickly as possible. Winchester has continued to sell its premium hollow-point ammunition based on the Black Talon design. The company simply renamed the cartridge and made a few cosmetic changes. The quotation below comes from a humorous sketch that aired in A.D. 2007 on NBC’s Late Night with Conan O’Brien. It demonstrates the persistence of the “cop-killer” myth.